Living in London is wonderful, there’s always something new to discover. And I can’t tell you how excited I felt when I spotted this place. I visit Spain a lot and love the country, its people and the food. 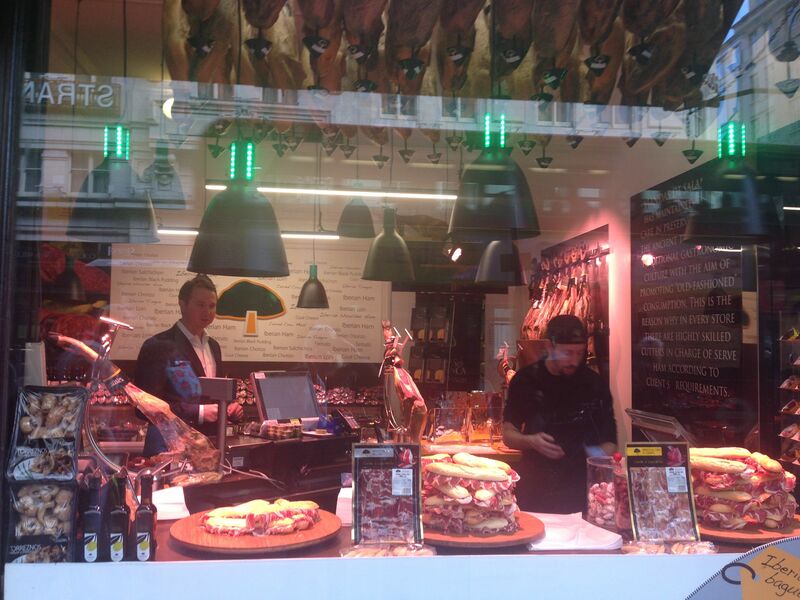 And now there’s a little touch of authentic Spain in, guess where, Covent Garden! Hooray. 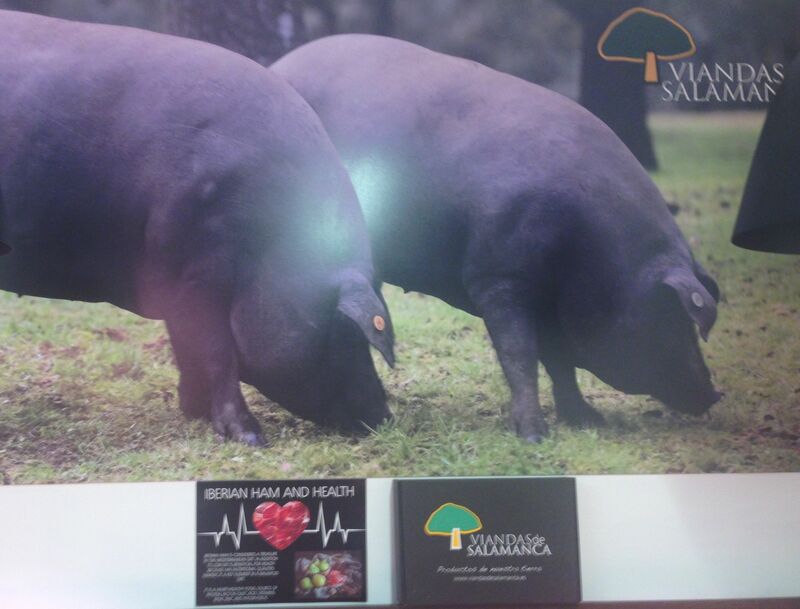 Viandas Salamanca sells foodie delights from the Salamanca (north west) area of Spain. 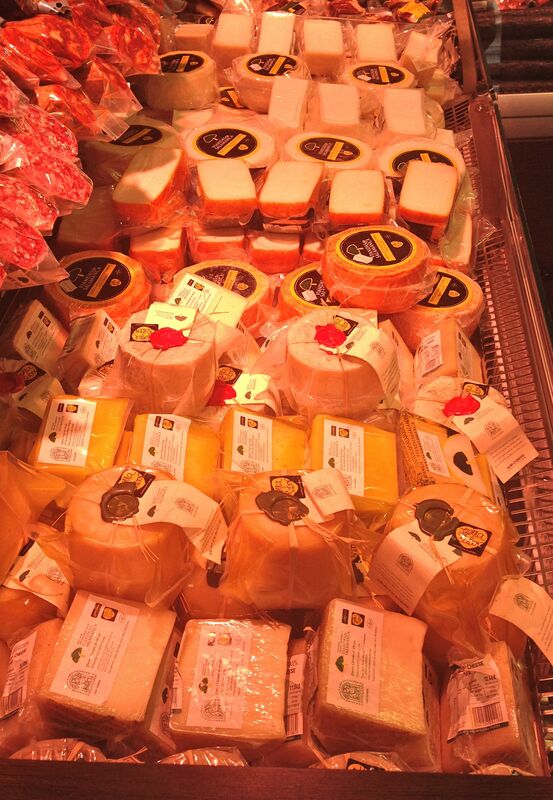 The first thing you notice when you walk in is the aroma of ham and cheese filling the air, inhale it and enjoy. 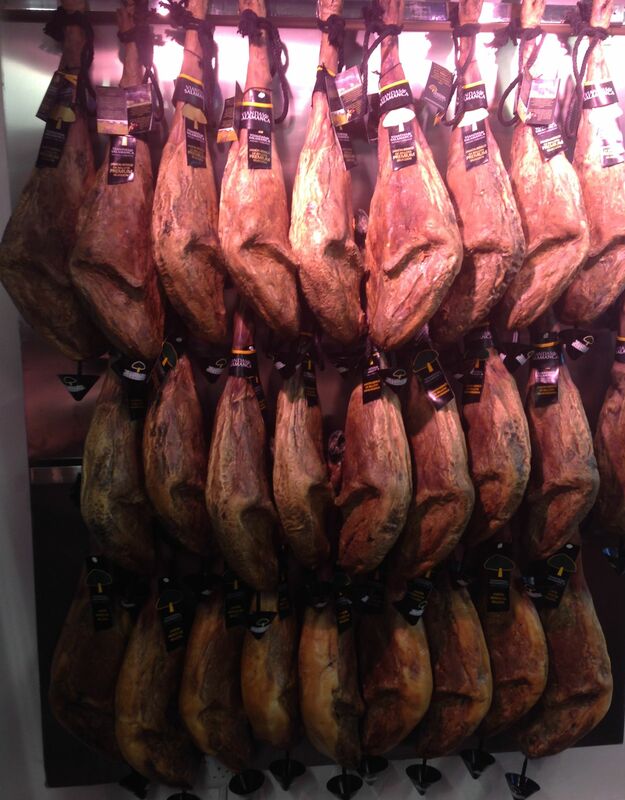 One wall is covered with hanging jamons in all their glory, there are fridges full of different meaty delicacies in vacuum packs and cheeses from the region. You can also ask for your jamon to be freshly carved for you off one of the legs that sits temptingly on the counter. Impossible for me to resist! And then there’s the sandwiches – large baguettes packed full of Spanish jamon – well, overflowing with it really as you can see from the picture below! When you order one you’re given the choice of adding tomato, which is in the form of a little sachet of the tomato concotion that is used on pan con tomate. Lunch really doesn’t get much better than this! This sort of produce is not cheap, but that’s no surprise as it is of the highest quality and takes a lot of time and love to produce. So go on, treat yourself. I know I did!